The Justice Party (Adalet Partisi, AP) was a Turkish political party prominent in the 1960s and 1970s. A descendant of the Democrat Party, the AP was dominated by Süleyman Demirel, who served six times as prime minister, and was in office at the time of the military coup on September 12, 1980. Along with all other political parties in Turkey, the Justice Party was suppressed in the immediate aftermath of the coup. It was subsequently re-established as the True Path Party in 1983. Sami Süleyman Gündoğdu Demirel was a Turkish statesman and political leader who served as the 9th President of Turkey from 1993 to 2000. He previously served as the Prime Minister of Turkey seven times between the years 1965 and 1993. He was the leader of the Justice Party (AP) from 1964 to 1980 and the leader of the True Path Party (DYP) from 1987 to 1993. Justice Party was a liberal conservative party. It advocated Kemalist principles, parliamentary democracy and a market economy. 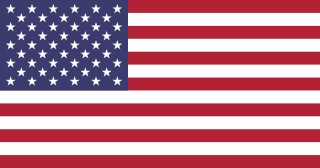 It strongly supported membership in NATO and close relations with the United States. Kemalism, also known as Atatürkism, or the Six Arrows, is the founding ideology of the Republic of Turkey. Kemalism, as it was implemented by Mustafa Kemal Atatürk, was defined by sweeping political, social, cultural and religious reforms designed to separate the new Turkish state from its Ottoman predecessor and embrace a Westernized way of living, including the establishment of democracy, secularism, state support of the sciences and free education, many of which were first introduced to Turkey during Atatürk's presidency in his reforms. With the 1960 coup d'état, Turkey's generals disbanded the formerly dominant Democrat Party. They could not, however, entirely dismantle the vast grassroots organization that this party had left behind. Democrat Party officials were based in many of the squatter neighborhoods in Turkey's larger cities, and would quickly incorporate newly arrived Anatolian migrants into the party's fold. A number of parties soon emerged to reclaim this newly partyless Democrat voting bloc. The Justice Party was one of these neo-Democratic parties, first established by retired general Ragıp Gümüşpala in 1961. It immediately adopted the galloping horse logo of the Democrat Party. The 1960 Turkish coup d'état was the first coup d'état in the Republic of Turkey. The coup was staged by a group of 38 young Turkish military officers, acting outside the Staff Chiefs' chain of command. It was orchestrated by Alparslan Türkeş and ultimately led on May 27, 1960 by General Cemal Gürsel, against the democratically-elected government of the Democrat Party. 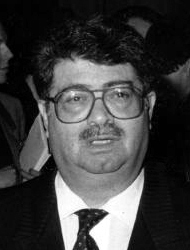 Alparslan Türkeş was a member of the junta. A grassroots movement is one which uses the people in a given district, region, or community as the basis for a political or economic movement. Grassroots movements and organizations use collective action from the local level to effect change at the local, regional, national, or international level. Grassroots movements are associated with bottom-up, rather than top-down decision making, and are sometimes considered more natural or spontaneous than more traditional power structures. Grassroots movements, using self-organization, encourage community members to contribute by taking responsibility and action for their community. Grassroots movements utilize a variety of strategies from fundraising and registering voters, to simply encouraging political conversation. Goals of specific movements vary and change, but the movements are consistent in their focus on increasing mass participation in politics. These political movements may begin as small and at the local level, but grassroots politics as Cornel West contends are necessary in shaping progressive politics as they bring public attention to regional political concerns. The Justice Party quickly proved the most successful in consolidating the existing Democrat Party provincial organizations, particularly in the western regions of the country. The New Turkey Party, however, was initially more successful in eastern Turkey. In the 1961 elections, the two post-Democrat parties combined to win a very impressive 48.5% of the vote, 34.8% of which went to the Justice Party alone. The ruling generals, however, would not allow for a neo-Democrat government to replace the old order they had brought down. Instead they asked İsmet İnönü, whose Republican People's Party was the largest party with 36.7% of the vote, to form a coalition government. Mustafa İsmet İnönü was a Turkish general and statesman, who served as the second President of Turkey from 10 November 1938 to 27 May 1950, when his Republican People's Party was defeated in Turkey's second free elections. He also served as the first Chief of the General Staff from 1922 to 1924, and as the first Prime Minister after the declaration of the Republic, serving three terms: from 1923 to 1924, 1925 to 1937, and 1961 to 1965. As President, he was granted the official title of "Millî Şef". The Republican People's Party is a Kemalist and social-democratic political party in Turkey. It is the oldest political party in the country, and is currently the main opposition in the Grand National Assembly. The CHP describes itself as "a modern social democratic party, which is faithful to the founding principles and values of the Republic of Turkey". The party is cited as "the founding party of modern Turkey". 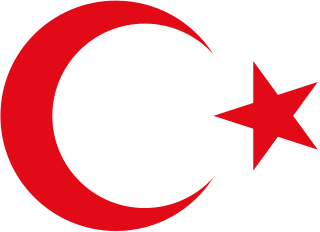 Its logo consists of the Six Arrows, which represent the foundational principles of Kemalism: republicanism, nationalism, statism, populism, laicism, and reformism. With its popular appeal well established, the Justice Party turned to issues of leadership. Gümüşpala died in 1964, and questions soon emerged over who would succeed him as the party's leader. Sadettin Bilgiç, a doctor by training, had become acting party president following Gümüşpala's death, and initially emerged as the favorite for the position. But the Turkish press tarnished Bilgiç's reputation, accusing him of political and religious conservatism. Party leaders soon started to worry that he would ruin the party's image with the Turkish intelligentsia and, more importantly, the army. Indeed, the military head of state, Cemal Gürsel, began pushing for a more progressive candidate to take charge - Süleyman Demirel. Cemal Gürsel was a Turkish army officer, and the fourth President of Turkey. The Justice Party's good fortune, however, did not last for long. The small Anatolian enterprises that had formed a key part of the party's constituency couldn't compete with the Istanbul area's large, modern corporations. These entrepreneurs felt betrayed, and defected from the Justice Party to smaller rightist alternatives. Meanwhile, the country suffered through increasing socio-political strife, as conflicts between leftist and rightist groups turned increasingly violent. Since Demirel symbolized a pro-Western capitalist current in the Turkish establishment, he became an easy target for both the far left and the religious right. The party was still able to win the 1969 elections, carrying 256 seats with around 46.5% of the vote, but the overall situation grew increasingly chaotic. The near-constant street violence escalated, threatening the Turkish economy and ultimately provoking the military to intervene once again in 1971. With the power once again firmly in its hands, the military forced Demirel to resign. The Justice Party was not able to win the elections held in 1973 and 1977, but Demirel was able to serve as prime minister three more times between 1975 and 1980, albeit with coalition partners. On September 12, 1980, the military once again staged a coup d'état, and this time banned Demirel and the Justice Party from the country's politics. After an extended pause, the party eventually reemerged as the True Path Party, complete with the galloping horse logo, in 1983. The 1971 Turkish military memorandum, issued on 12 March that year, was the second military intervention to take place in the Republic of Turkey, coming 11 years after its 1960 predecessor. It is known as the "coup by memorandum", which the military delivered in lieu of sending out tanks, as it had done previously. The event came amid worsening domestic strife, but ultimately did little to halt this phenomenon. The Democratic Party, abbreviated to DP, is a centre-right, conservative Turkish political party, established by Ahmet Nusret Tuna in 1983 as the True Path Party. It succeeded the historical Democratic Party and the Justice Party, two parties with similar ideologies. Their sister party is the centrist İyi Party. Adnan Menderes was a Turkish politician. He was the Turkish Prime Minister between 1950–1960. He was one of the founders of the Democrat Party (DP) in 1946, the fourth legal opposition party of Turkey. He was hanged by the military junta after the 1960 coup d'état, along with two other cabinet members, Fatin Rüştü Zorlu and Hasan Polatkan. He was the last Turkish political leader to be executed after a military coup and is also one of the three political leaders of the Turkish Republic to have had a mausoleum built in his honor. Erdal İnönü was a Turkish theoretical physicist and politician, who served as the interim Prime Minister of Turkey between 16 May and 25 June 1993. He also served as the Deputy Prime Minister of Turkey from 1991 to 1993 and as the Minister of Foreign Affairs from March to October 1995. He served as the leader of the Social Democracy Party (SODEP) from 1983 to 1985 and later the Social Democratic Populist Party (SHP) from 1986 to 1993. He was the son of the 2nd President of Turkey, İsmet İnönü. 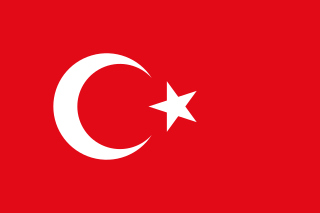 The multi-party period of the Republic of Turkey started with the establishment of the opposition Liberal Republican Party by Ali Fethi Okyar in 1930 after President Mustafa Kemal Atatürk asked Okyar to establish the party as part of an attempted transition to multi-party democracy in Turkey. It was soon closed by the Republican People's Party government, however, when Atatürk found the party to be too influenced by Islamist-rooted reactionary elements. Ahmet Hüsamettin Cindoruk is a Turkish politician and the 17th Speaker of the Parliament of Turkey between 1991-1995. He was also the acting president of Turkey in 1993 and the leader of two political parties, notably of the True Path Party. The True Path Party was a centre-right political party in Turkey, active from 1983 to 2007. For most of its history, the party's central figure was Süleyman Demirel, a former Prime Minister of Turkey who had previously led the Justice Party (AP), before it was shut down in the aftermath of the 1980 military coup. The DYP was widely considered the successor of both the AP and the Democratic Party (DP), active in Turkey's early multi-party period. General elections were held in Turkey on 5 June 1977. Elections took place in the middle of a political race between the right wing party AP and the left wing party CHP. With the charismatic leadership of Bülent Ecevit, CHP managed to beat one of the symbol figures of the conservative politics of Turkey, Süleyman Demirel. Voter turnout was 72.4%. General elections were held in Turkey on 6 November 1983, the first since 1977 because the democratic rights were abandoned after the military coup of 1980. The National Security Council banned the previous political parties from participating, leading to the establishment of new parties. Turgut Özal's Motherland Party (ANAP) won a significant victory in this elections by gaining 45.14% of the votes. This victory was the starting point of a rapid change in the structure of the state and society in Turkey. Voter turnout was 76.6%. Great Turkey Party was a short lived Turkish political party in 1983. Democratic Party was a former political party in Turkey founded on 18 December 1970. It should not be confused with the historical Democrat Party or the current Democrat Party in Turkey. The 31st government of Turkey was a government in the history of Turkey. It is known as second Demirel government. Events in the year 1965 in Turkey. Events in the year 1964 in Turkey. Events in the year 1983 in Turkey. İsmet Sezgin was a Turkish politician who served as the Deputy Prime Minister of Turkey and Minister of National Defence from 1997 to 1999, as the Speaker of the Grand National Assembly in 1995, as the Minister of the Interior from 1991 to 1993, as the Minister of Finance from 1979 to 1980 and as the Minister of Youth and Sports from 1969 to 1971. Between 1999 and 2002, he served as the Leader of the Democrat Turkey Party, but did not contest any elections. Ahmad, Feroz. "Turkey: The Quest for Identity". Oxford: Oneworld, 2003.